London, UK: Thanes and Hudson, 1967. Book. Good-. Hardcover. 320pp. Profusely illustrated with black & white photos and drawings. Spine cloth severely damaged.. Good+. NY: Dover, 1965. Book. Very Good+. Soft cover. 109pp. 150 math puzzles, with solutions. Very Good+. NY: Dover, 1976. Book. Near Fine. Soft cover. 111pp, illustrated. 110 math problems and their solutions. Near Fine. NY: W. A. Benjamin, 1963. Book. Very Good+. Cloth. 8vo - over 7¾" - 9¾" tall. 619pp, Illustrated. A detailed and highly mathematical presentation of electronics. Former owner's name on title page and fore-edge. No other marks, no tears..
Indianapolis, IN: Que, 2002. Book. Very Good+. Soft cover. 8vo - over 7¾" - 9¾" tall. 278pp, Illustrated with screen shots. 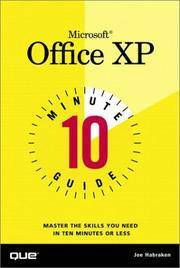 How to use the features of the Microsoft XP operating system. No marks or tears..
Clarksville, TN: Phila Hach, 1981. Book. Very Good+. Pictorial Hardcover. Revised Edition, Second Printing. 8vo - over 7¾" - 9¾" tall. 158pp, Southern and Appalachian recipes collected for the 1982 World's Fair in Knoxville, TN. No marks or tears. A very nice copy. Boston: Bedford Books, 1995. Book. Very Good+. Comb Binding. Third Edition. 8vo - over 7¾" - 9¾" tall. 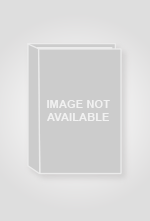 354pp, A reference manual for writers. Includes advice on grammar, document design, and styles of documentation. No marks or tears..
NY: Avon Books, 1997. Book. Very Good. Soft cover. 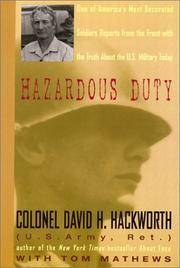 353pp, One of America's most decorated soldiers reports from the front with the truth about the U.S. military today. A critique of the U.S. military. Cover clightly curled, some dogeared pages. Very Good. NY: Bantam, 1967. Book. Very Good. Paperback. Second Printing. 261pp. Very Good. NY: Bantam, 1968. Book. Very Good. Paperback. 9th Printing. 501pp. Very Good. Perigee, 1995. Book. Very Good. Soft cover. 5x5. 351pp. Very Good. NY: Harper & Brothers, 1900. Book. Good-. Hardcover. Green cloth. Spine loose from text block. Hinges intact. Former owner's label and signature on inside front cover and front end-paper. Good-. NY: Macmillan, 1982. Book. Near Fine. Cloth. First Edition. 4to - over 9¾" - 12" tall. 461pp, Blue cloth. Former owner's stamp on fron endpaper. No other marks. No tears. A very clean copy..
Thomasville, GA: Pebble Hill Foundation, 1999. Book. Very Good+. Soft cover. 8vo - over 7¾" - 9¾" tall. 135pp, 1999. Softcover. Price stick on rear cover. No marks or tears. A nice copy..
Beltsville, MD: US Department of Agriculture, 1966. Book. Very Good+. Paper Cover. 4to - over 9¾" - 12" tall. 179pp, Illustrated with tables, graphs, and black & white photographs. This is the edited proceedings of a symposium held at the dedication of the National Animal Disease Laboratory, Ames, Iowa, December 12 and 13, 1961.ARS publication 45-5. It contains 11 scientific presentations on host reactions to infection. No marks or tears..
Tulsa, OK: Kenneth Hagin Evangelistic Association, 1974. Book. Very Good+. Soft cover. 4th Edition. 8vo - over 7¾" - 9¾" tall. 32pp. Very Good+. NY: William Morrow & Co., 1995. Book. Illus. by Michael Hague. Very Good+. Quarter-cloth. 4to - over 9¾" - 12" tall. 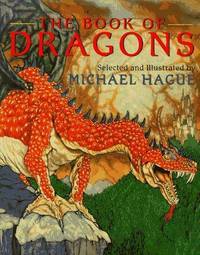 Seventeen classic dragon tales selected and illustrated by Michael Hague. Tales include those by C. S. Lewis, J. R. R. Tolkien, and the brothers Grimm. No marks or tears. Illustrated in color and black line drawings..
Prague, Czechoslovakia: Artia Praha, 1954. Book. Good. Cloth. Folio - over 12" - 15" tall. 284pp, Profusely illustrated with about 300 b&w photos and several in color showing animals and hunting scenes in Czechoslovakia. Text is in German. 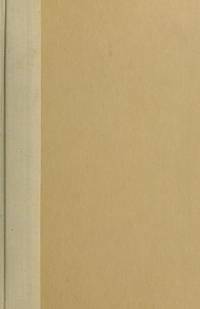 Green cloth, tight binding, no marks in text, dustjacket is torn and has several holes. An interesting hunting book. Heavy. Good. NY: Oxford University Press, 2002. Book. As New. Hardcover. 4to - over 9¾" - 12" tall. 406pp, Illustrated. 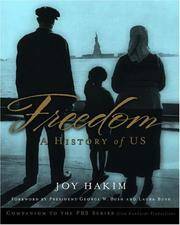 A history of the United States. As new in original plastic..
NY: William Morrow and Co., 1989. Book. Very Good. Quarter-cloth. First Edition. 8vo - over 7¾" - 9¾" tall. 304pp, The story of the 1949 pennant race between the Boston Red Sox and the New York Yankees. No marks or tears. DJ with a few creases..